Nuno felt and silk scarves, alternative ways of wearing them! Everyone has their own favourite way of wearing a scarf or wrap. Confident people usually just fling them on and always look fabulous while others need a little help working out the different options before finding a style in which they feel comfortable with. I've started a board on Pinterest titled 'Beautiful scarves and ways to wear them', why not check it out and follow along if you're looking for inspiration? A lot of the styles I'm pinning look wonderful in nuno felt or silk, it's important that the fabric is flexible to achieve the look you're aiming for! 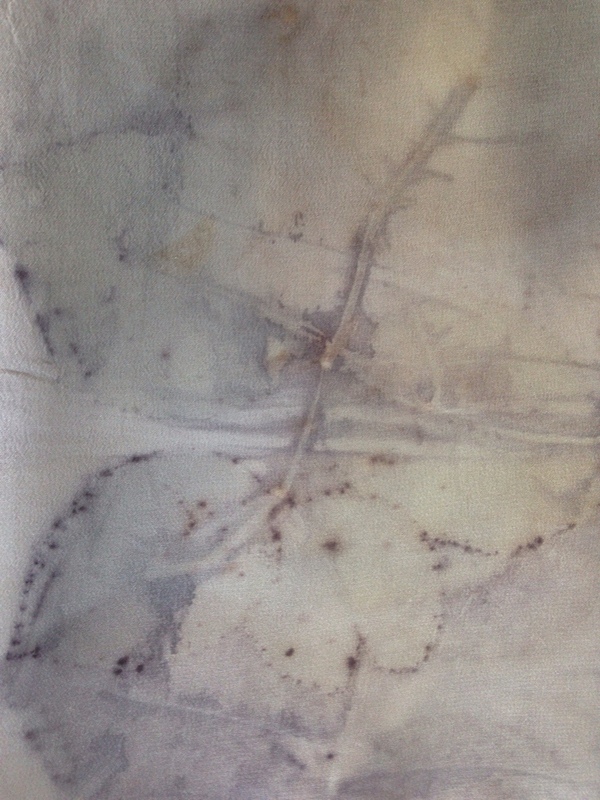 Here's a large crepe de chine scarf that I printed with rose leaves while I demonstrated during last week's retreat, I love the softness of how this heavy silk drapes making it perfect for an impromptu halter neck top. 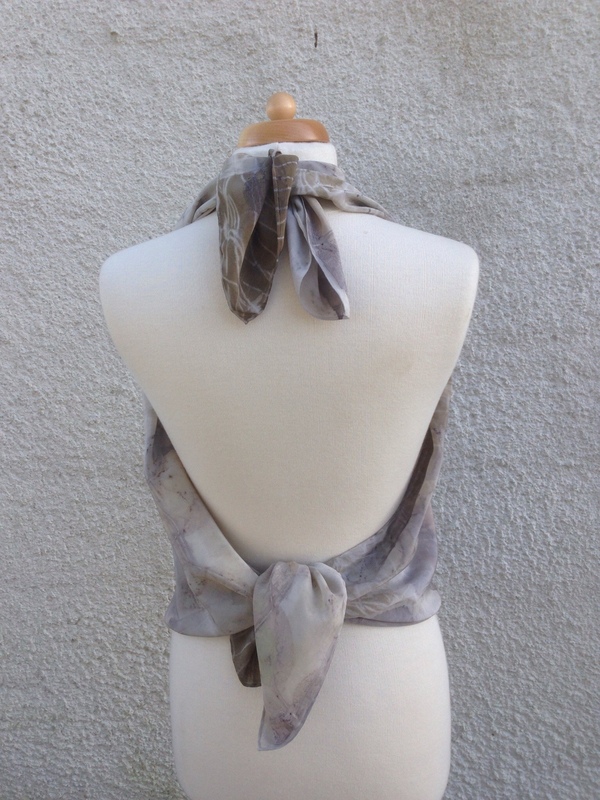 Large silk square from behind, two simple ties and it's a beautiful top! 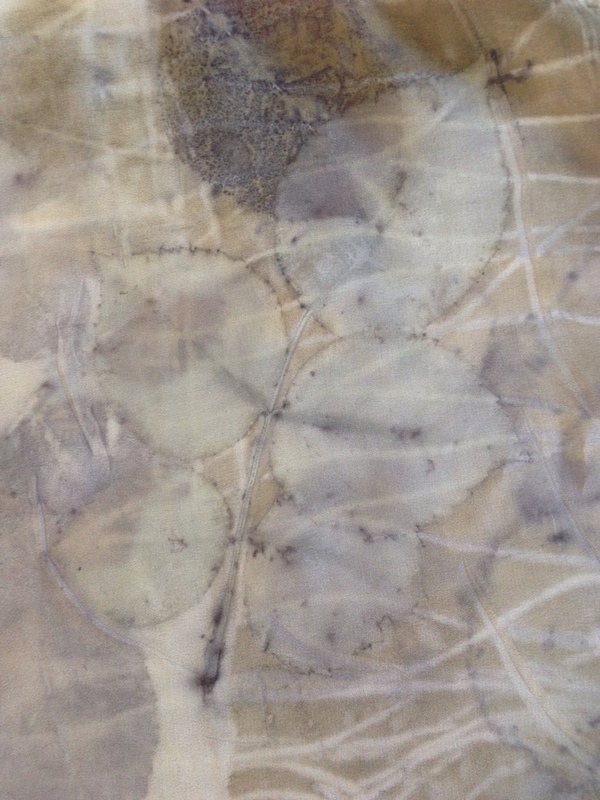 These particular rose leaves printed very softly on silk and with stronger colours on wool, felt or cellulose fabrics, here are a couple of close up images from this particular silk scarf. 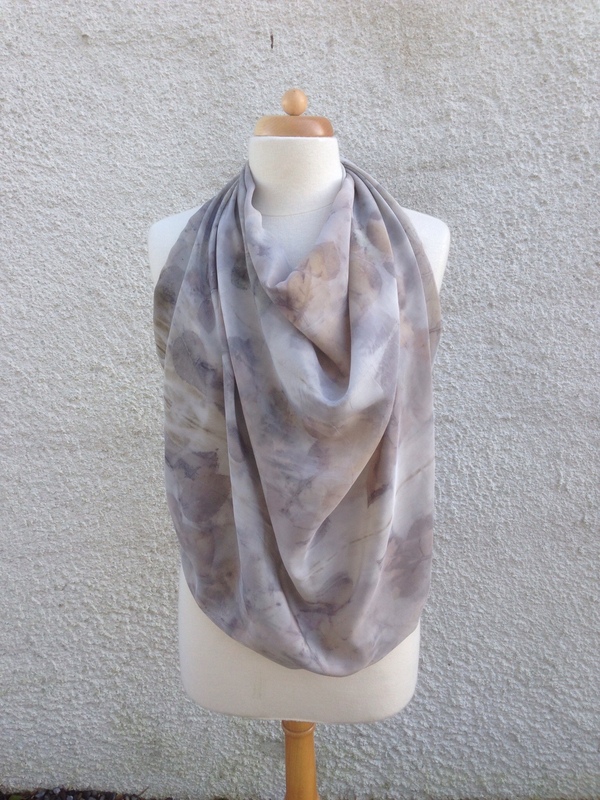 If you've a favourite way of wearing your scarves or wraps why not share it here by leaving a comment? 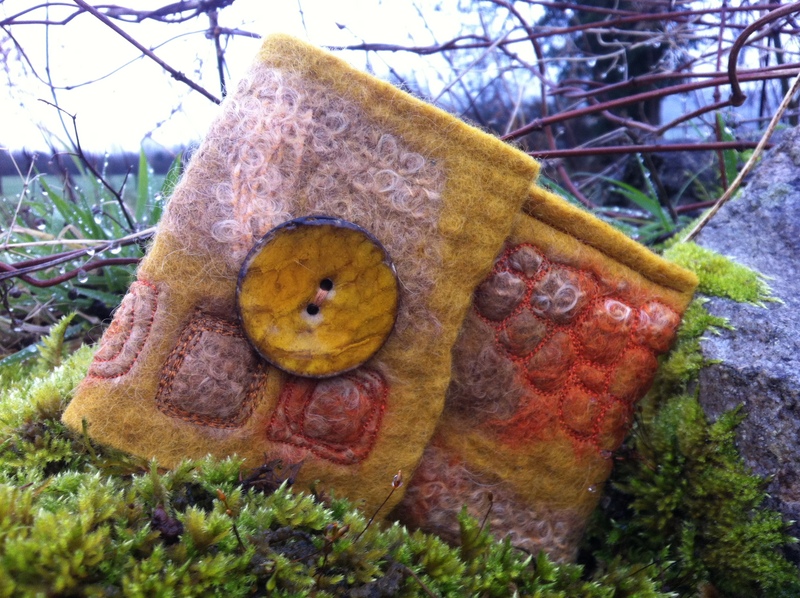 I'm heading to the studio shortly to felt a lightweight nuno wrap, pictures later in the week as soon as it's felted and printed.